B.K. 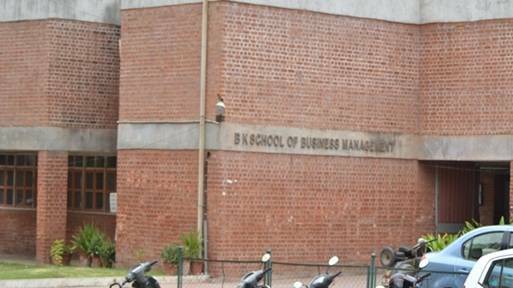 School of Business Management was established in 1976 as the Business School of Gujarat University to meet the regional demand for professional managers. Initially the School started with an intake of 30 students for its two-year full time MBA programme. 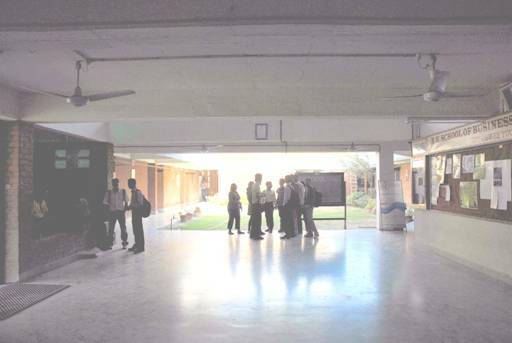 Over the years the intake of students has been increased and now its stands at 90. The School started a part-time MBA programme for serving executives from 1983 and currently the intake for the same is 60. In the year 2006 the School started a PG Diploma in Port Management Programme with an intake of 35 students. This programme was restructured as an MBA programme in Maritime Management with an intake of 45 students in 2011. A Management Academy was established in the School in 2011 and currently the Academy is offering 15 PG Diploma courses and one PG certificate course in various related disciplines of Management. These are part time courses. These courses are intended to provide a platform for persons who did not have formal management education or who need to have specialisations in some specific sectors. A novel feature of these courses is that even full time PG students pursuing other courses are also allowed to undergo these courses for enhancing their employment potential. The School also conducts a Ph.D. programme in Management and currently there are 22 registered students who are pursuing research, of whom one is a JRF and another is an NRI. During the last five years about nine students who were registered with the School faculty have completed their Ph.D.
At the inception of the School there was a sanctioned strength of 13 faculty members. During the last five years the School has been having an average strength of eight. The School has, however, been able to get good visiting faculty to meet the shortfall. As per the norms prescribed by the Government of Gujarat and the Gujarat Common Entrance (GCET) CMAT conducted by AICTE New Delhi for MBA. Graduation with at least 50%. (SC/ST 45%) and three years experience after graduation in Supervisory or Executive level and should be currently working. As per the norms prescribed by the Government of Gujarat and the Gujarat Common Entrance (GCET) CMAT conducted by AICTE New Delhi for MBA. Graduate in any discipline, including students who are pursuing full time post graduate courses would be eligible to join these courses. Post Graduate in Management with at least 55% or equivalent grade from a recognized University. Admission to PhD Programme is through Entrance Test conducted by University or NET/SLET Cleared. Duration: Minimum 2 Years for fulltime and 3 years for part-time. Books Published / IPRs / Patents: 02 (Reports in the form of Books). Consultancy Activities: Carried out in limited manner. Area of Specialization: Operations Research & Management Information System. Dr. Sarla Achuthan has over thirty years of experience in the field of management education. She is the Director of the School since December 1998. She is also the In-Charge Director of K.S. School of Business Management of Gujarat University, which offers integrated courses in Management and Information Technology. She is associated with several activities regarding management education. She has been the Convener for the Gujarat Common Entrance Test (GCET) for the past two years. She also has a number of publications to her credit and is also associated with a number of professional bodies. 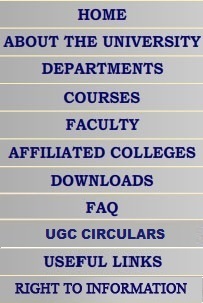 Professional Memberships: AICTE Inspection, Committee for new Institutions since 2008. Area of Specialization: Marketing Management, Integrated Marketing Communications, Consumer Behaviour, International Marketing, Corporate Strategy Management, International Business. Dr. Prateek Kanchan, Associate Professor in marketing, did his Ph.D. on ‘Socio-Economic impact of advertising with special reference to national capital region of Delhi’. He has two years of industrial experience and fifteen years of experience in teaching at PG level. He has also presented around Twenty three papers at national and international conferences..He also has to his credit an edited book on In-Film Advertising-Brand Positioning Strategy He has been teaching MBA students for the last fifteen years. He has to his credit twenty two articles and papers published in various souvenirs, journals, newspapers and newsletters. He has presented papers at national and international conferences held at various institutes like IIM-Kolkata, Kozhikode and Indore, to name a few. He has two years of industrial experience. He is also a member in the AICTE inspection committee for new and upcoming institutions. Area of Specialization: Strategic Marketing, Brand Management, Marketing Research and CRM. Dr. Neelima Ruparel, a doctorate in management, has an exposure of both corporate and academic arena. A gold-medalist in marketing specialisation, she has worked with Zydus Cadila- Cadila Healthcare Ltd. in its product (brand) management department. She has a teaching experience of over seven years and has presented several national seminars and conferences. Area of Specialization: Corporate Laws, Labour Laws, Intellectual Property related Laws, Human Resource Management. Prof. J. M. Bhatt has over twenty-four years of teaching experience. He is associated with professional bodies like Ahmedabad Management Association and Ahmedabad Chapter of National HRD Network as a life member. He is also involved in training programmers held by reputed companies. Area of Specialization: The Human side of the Organizations. Prof. Margie Parikh has been teaching Organisational Theory (OT), Organisational Behaviour (OB), Organisation Development (OD) and Business Communication. Her current work involves effective crossing over of first or second generation start-ups to mid-size. Cross-cultural issues in management are among her favourites. She has several publications to her credit and has presented papers at several national and international seminars. Books Published / IPRs / Patents: Titled as "Business Administration - Paper 3" as a co-author, published by Sudhir Prakashan. Area of Specialization: Marketing Information Systems. Prof. Vasudev A. Modi has teaching experience of over four years. He has served as a lecturer at V.B.Shah Institute of Management and R.V.Patel College of Commerce, Amroli, Surat.He is also the co-auther of a book titled "Bussiness Administration" for T.Y.Bcom. and B.B.A. Students, published by Sudhir Prakashan,Ahmedabad. Area of Specialization: Productions and Operations Management, Management Control Systems, Project Management. Prof. P.N. Jobanputra has more than twenty-five years of teaching experience and five years of experience in Industrial Project consultancy. He was a visiting faculty at CEPT, CIPET and NIFT. He is a senior counselor at IGNOU and ICFAI. He has a wide experience in the field of project management in manufacturing industry as well as stock market operations. He has managed several engineering projects on a turnkey basis. The prestigious Bharat Gaurav award was conferred upon him by the India International Friendship Society. Dr. Vilas Kulkarni has worked for two years with IIM, Ahmedabad as a trainee academic associate in personnel and industrial relations area. During his tenure at IIM-A, he had research exposures to projects funded by United Nations Development Programme and Govt. of Netherlands. He has to his credit various articles published in different national & international journals. He is also co-investigator in a major Research & Development project funded by AICTE.